When we think of the leaders of Europe’s far- and extreme-Right parties today, it is easy to ridicule them as fossils, nostalgic for days of Empire and white supremacy, or stranded on pre-second-world war shores, fighting the territorial fights of yesteryear. Yet despite the extreme Right’s much-vaunted irredentism, it has also mounted strong critiques of the very modern phenomenon of globalisation. The internationalisation of capitalism, its unprecedented ability to cross the boundaries of national political and legal jurisdictions, has led to a sea-change in the way fascists respond to the vital question ‘where does the national interest lie’. Today, fascist and nationalist movements don’t just wave the flag of the nation-state. Despising the liberal values of Europe, deploring the subservient actions of European governments in the face of the EU’s hegemonising tendencies, extreme-right leaders gaze admiringly across the EU border to authoritarian leaders abroad, longing for the day when they too can govern illiberally. For the counter-jihadi strand of modern fascism, it is Israel, with its unrelenting force against the Palestinians, that stands out as a nation with civilisational rigour. But for many of the up-and-coming demagogues of the populist and anti-Communist extreme Right, ranging from UKIP’s Nigel Farage to the FN’s Marine Le Pen, from Gábor Vona of Jobbik to Nikos Michaloliakos of Golden Dawn, it is the autocratic leadership of Russian president Vladimir Putin that is most admired and emulated. 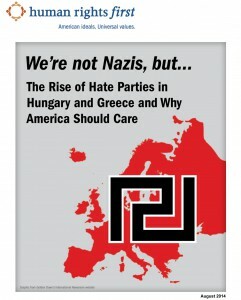 It is this, the so-called ‘Putin connection’, that the Washington and New York- based ‘non-profit, non-partisan’ think tank Human Rights First (HRF) sets out to explore in its 121- page report We’re not Nazis, but… The Rise of Hate Parties in Hungary and Greece and Why America Should Care. The result of fact-finding trips to Greece and Hungary carried out in April and May 2014, the report depicts a landscape familiar to a European audience, but adds new and important insights. The greater part of its critique is directed at Hungary, where it is not so much Jobbik that comes under fire, as the authoritarian government of Victor Orban and the Fidesz party, which the authors quite rightly point out are carrying far-Right ideas from the margins to the mainstream. 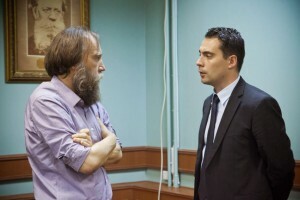 The origins of Jobbik in the anti-Communism of its leader, its meteoric rise from 2006 to 2014 (its share of the vote has risen tenfold), its current control of ten mayorships, its support for anti-Roma paramilitary organisations like the Civic Guard for the Future of a Better Hungary and its institution of public works programmes to control the Roma, are all capably described. And HRF’s assertion that Orban is ‘backsliding on democracy’ is amply proved through the listing of illiberal policies instituted by the Fidesz government, from sweeping changes to the constitution, the weakening of the independence of the judiciary and the media, the pursuit of irredentist claims and the drawing up of a revisionist history, to the current crackdown on NGOs which mirrors, albeit on a smaller scale, Putin’s ‘Foreign Agent’ law requiring NGOs to register as foreign agents if they receive funding from abroad. In Hungary’s case, three NGOs funded through a programme known as the Norway grants were raided by the Government Control Office, their finances scrutinised. The government is also reportedly keeping a list of 13 NGOs for evidence of ‘left-leaning’ or ‘problematic’ tendencies. HRF’s recommendations are made in the context of the current war in Ukraine, which has claimed over 3,000 lives and displaced over one million people (according to the latest UNHCR figures). And here lies the nub of the problem. HRF acknowledges the threat to democracy and to the human rights of vulnerable minorities posed by the rise of fascism in Europe and its ability to penetrate the State in both Greece and Hungary. But it assembles and contextualises the facts in such a way that they seem of value only to the extent that they serve the authors’ primary concern: the threat to US national interests – the Transatlantic Treaty, US bases in Greece (Souda Bay, on Crete) and Hungary (Papa Airbase, home to the US European Command) – and to NATO’s unquestioned right to expand eastwards. References to Russia’s responsibility for the current war in the Ukraine are as frequent as rain on an English summer’s day. But such myopia rules out the consideration of other perspectives that would militate against a new Cold War. Is it possible that Russia’s bloody-minded and unwelcome militarism in Ukraine is a response to NATO expansionism, and not its cause? Needless to say, such questions are not posed by an American NGO whose motto is ‘American Ideals. Universal Values’. We are indeed, as the Guardian’s economic analyst Larry Elliot warns, entering ‘a messier, less clearly defined multi-polar world, possibly at the brink of a new Cold War’. 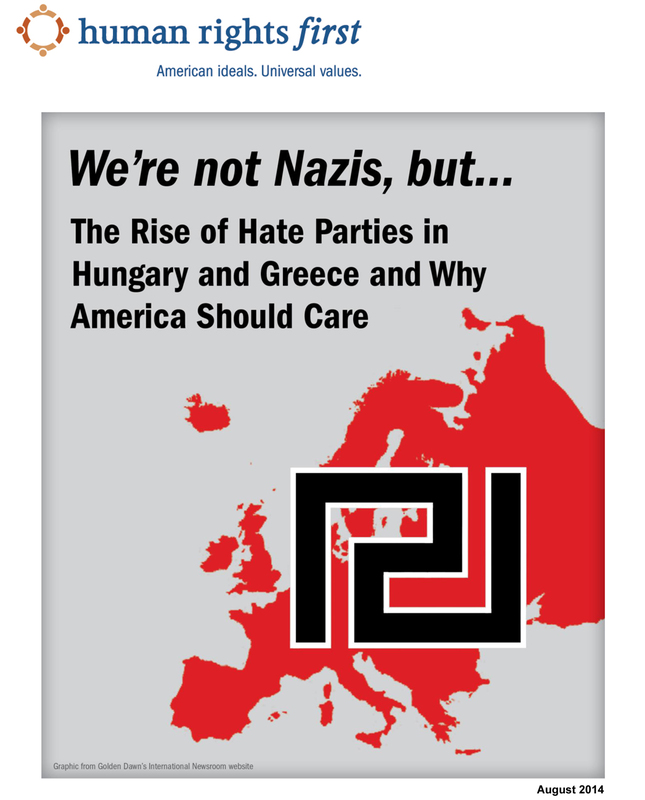 HRF’s intimation that Greece and Hungary lie in the US ‘sphere of interest’ is a depressing reminder of the distortions that arise when we embrace Cold-War thinking. Exploring the far and extreme Right’s new-found love for the authoritarianism of Putin is one thing. But resurrecting the Russian bogeyman to justify NATO expansionism is quite another.